Mehreen Jabbar's Ramchand Pakistan film was screened by Worthington Interfaith Neighbors (WIN) on Sunday at the Columbus, Ohio, film festival. The screening was followed by a discussion. In a well-attended event, panelists and audiences talked about the challenges of interreligious work around the world and how we can create meaningful dialogues to help us overcome stereotypes and eliminate divisions. Panelists also discussed the conflict between Pakistan and India and the categorization of the caste system. 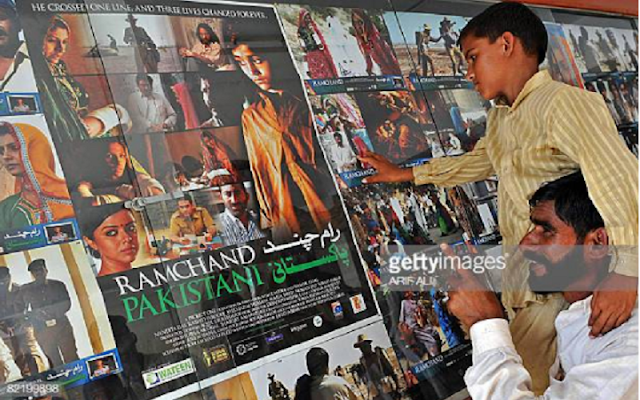 Although Ramchand Pakistani was published in 2008, screening is still so important many years later. Ramchand Pakistan is the second Pakistani film that has made it to the international film scene and has won several awards. The film, directed by Mehreen Jabbar and produced by Javed Jabbar, is based on actual events. The story revolves around a Pakistani Hindu family whose son accidentally crossed the border between Pakistan and India. He was persecuted by his father in search of him. The story reveals the ordeal the family had to go through. WIN is a union whose mission is to offer citizens of different cultural and religious traditions the opportunity to engage in activities that promote mutual understanding and respect. The screening took place on Sunday, January 27, at the McConnell Arts Center in Worthington, Columbus. Discussion leaders and hosts were Linda Karr, COO WIN; Dr. Nayyer Jafri, Mt. Carmel Health System; Imran Malik, Director Interfaith and Outreach Engagement, Noor Mosque; Sharay Syed Sohail, occupational therapist Riverside Hospital; Mrs. Najma Shamsi, Indian / Pakistani author. The film, which conveys the message of love and humanity, was deeply appreciated by the public.